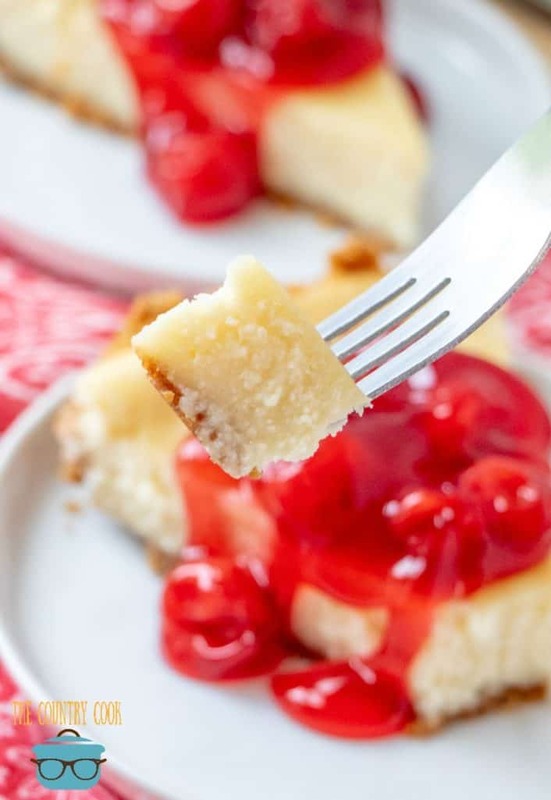 Y’all might remember from my last post, BEST EVER POTATO SALAD, that I got this cheesecake recipe from my husband’s Navy boss at the time, Chief Wilson. It was a recipe his Mom had given him so I was so grateful when he gave it to me. 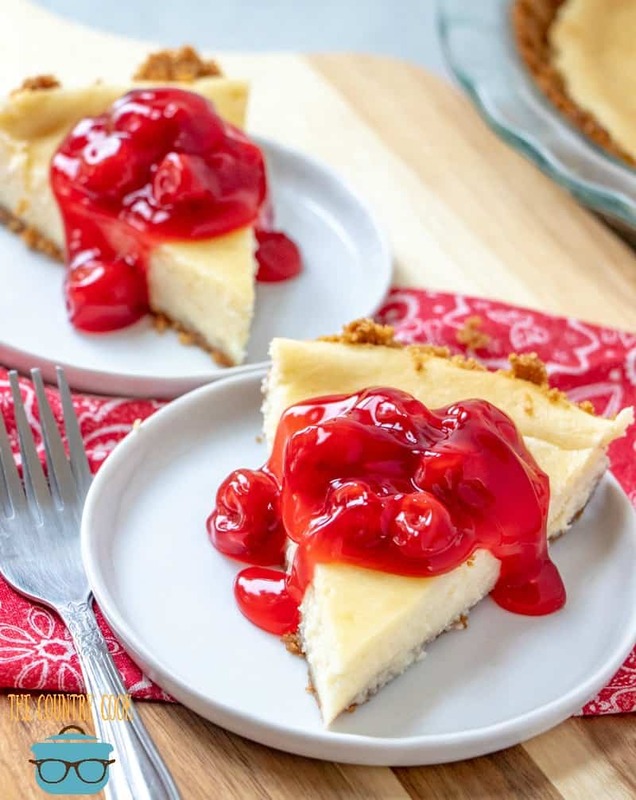 He made this cheesecake for every get together (he usually made two). They were famous in our little American military community in England. Everyone requested he make a couple of them when we had potlucks. 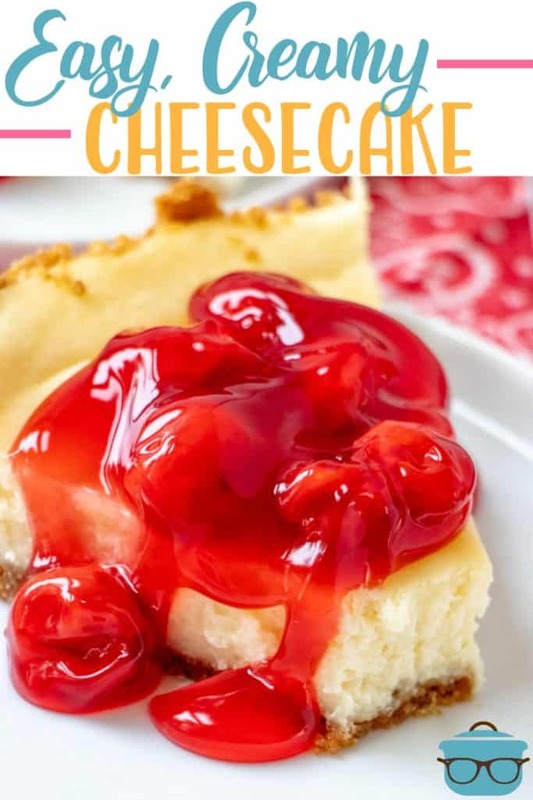 And I loved it because it was more of a sweet cheesecake rather than tangy. I have changed it a bit over the years. I added sour cream to help give it a slightly smoother texture. 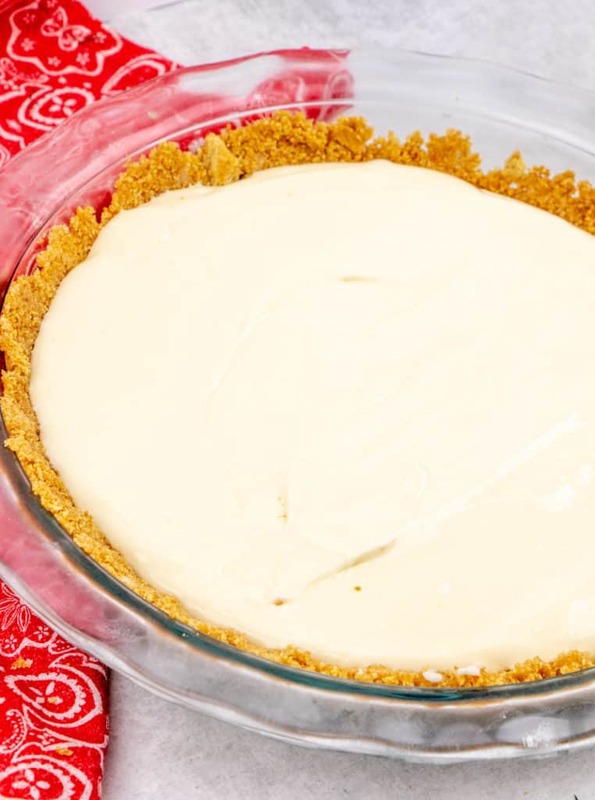 Chief always made this cheesecake using premade graham cracker crusts. And most of the time, I do as well. Every now and then I’ll make the crust from scratch so I’m going to include that recipe in here also. 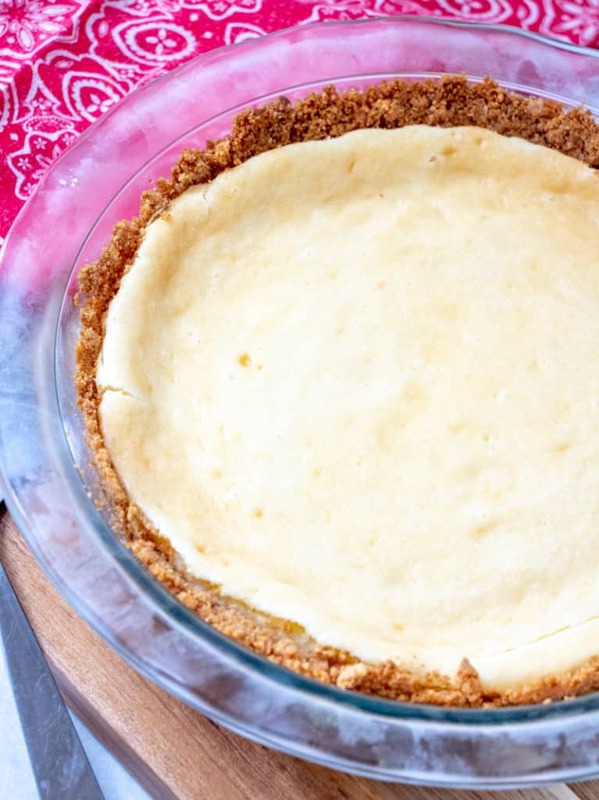 This easy and creamy cheesecake is absolutely delicious! Make your own crust or use storebought. 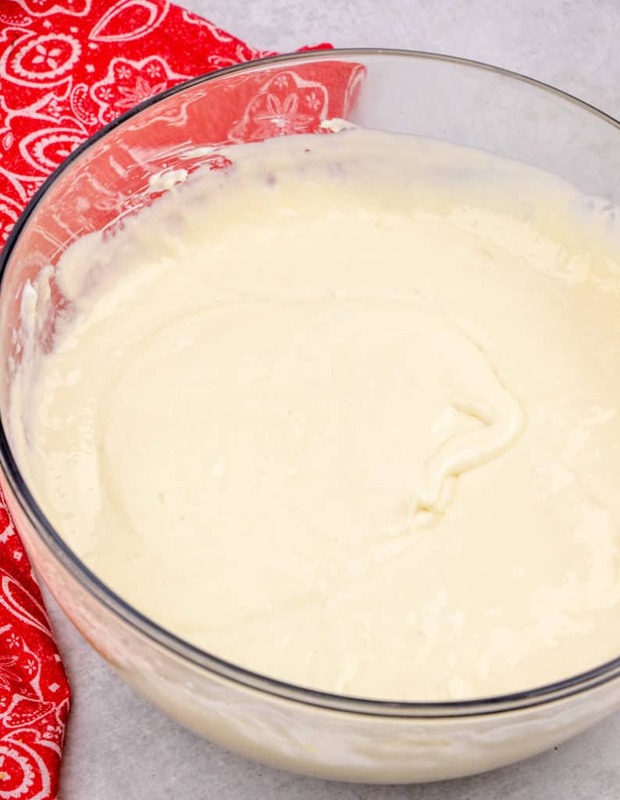 Cream cheese, eggs, sugar, sour cream make it the best! 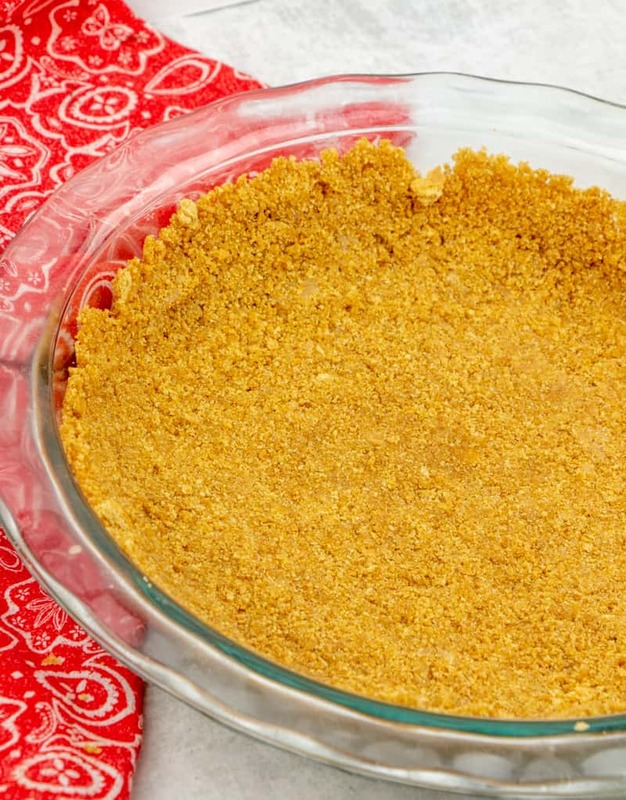 You can make the pie crust, or you can just use a premade one from the store. If you use a pre-made one, try to look for the crusts that says “2 extra servings." I you can't find it, just go with the regular ones. You may just have a tad bit of filling leftover. 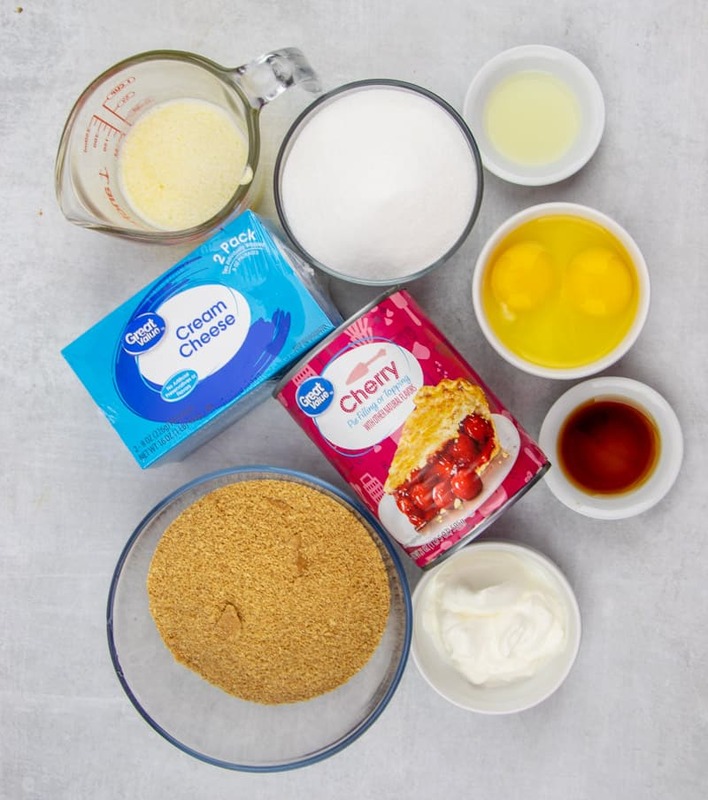 Craving more cherry desserts? Try these! Hi Rainah! Yay!! Love, love hearing this!! Thanks for taking the time to come back and let me know! This recipe was so easy and turned out awesome! Thank you for sharing. Woo hoo!! Yay!! Thank you so very much for the lovely review!! This makes me so happy!! Thank you so much Isabel! Woo Hoo!! Thank you so much Liz! !